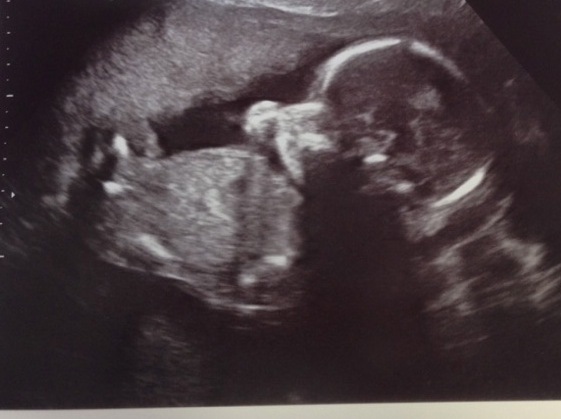 I said I would update you on the 20 week scan… and here I am. Everything is normal and healthy – although the babies legs are a little on the short side. The sonographer said that they were in the normal range, but on the shorter end of normal. Both me and my mum have short legs, so this wasn’t a huge surprise. I figure, I grew to be normal height for a girl 5″5/6 so I figure this baby will too. Mum said I was short for a baby, but I am average height now. Also the donor was 6″3 so I am hoping that his genes will take over the height issue. Although my dad is not tall for a guy, only 5″7/8…. 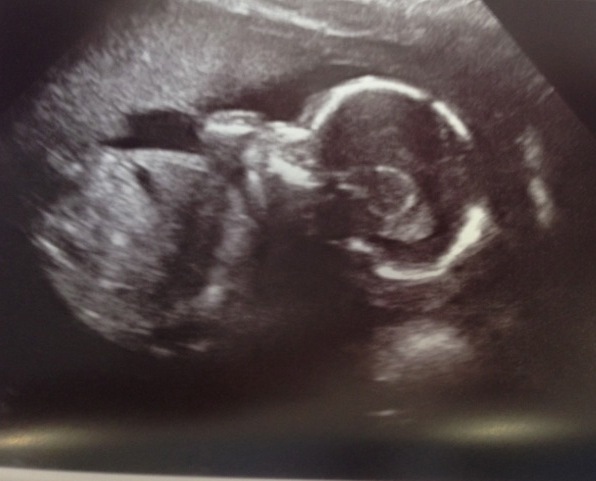 Our novelty shot – the baby sticking its fingers up at us!! 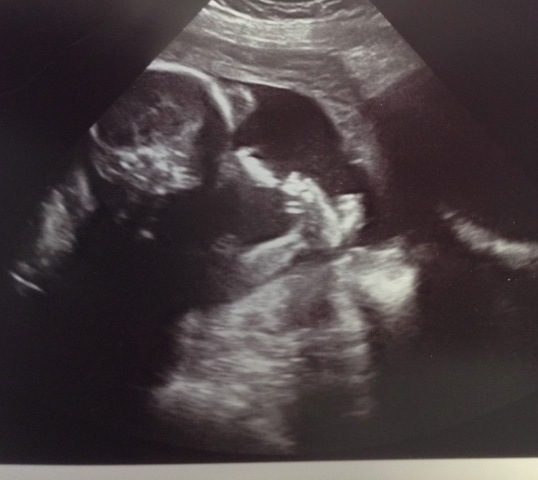 So – as you can see – our baby is a wriggler, it didn’t stop moving the whole scan, and infact the sonographer complained that she couldn’t get a clear shot for the measurements because it wouldn’t stay still! Explains all the jabs and pokes I have been feeling!! Anyway… before I tell you what it is…. 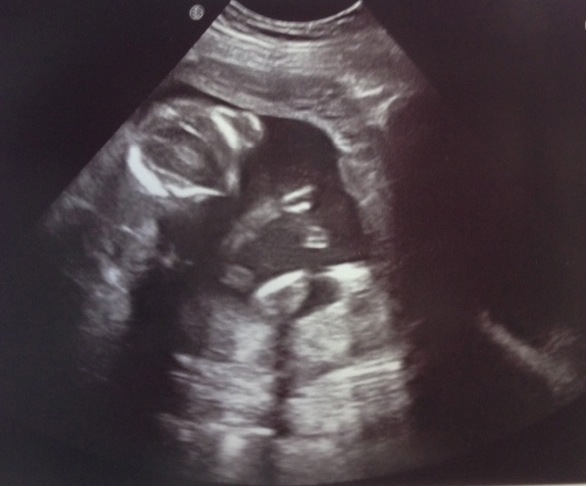 Lets have a vote…..
Who thinks its a girl, and who thinks it’s a boy? and this I think she is girl!